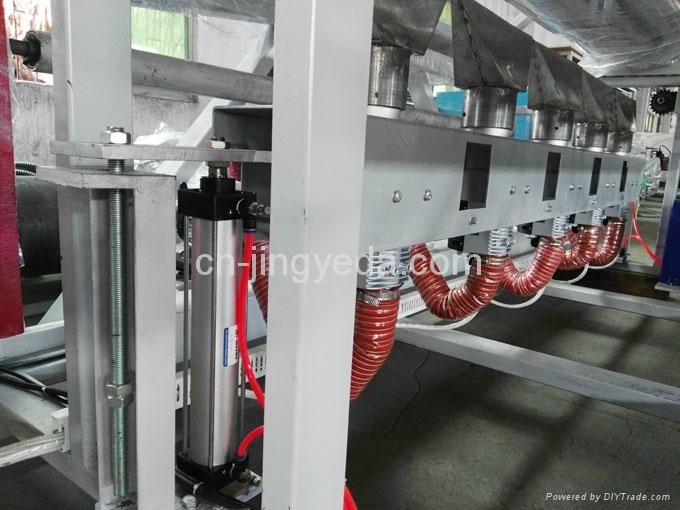 Electrical Air Knife Bonding Machine is also called Electrical Air Knife Thickening Machine. This machine is to heat up one single side of PE foam sheet to nearly melting point via electrical air knife + blower. Much stronger heating quality (13 kw each air knife). Then to bond 2 pieces together. The bonding force is by 2 rollers. No agent or glue is needed. Maximum bonding thickness may reach 100 mm. 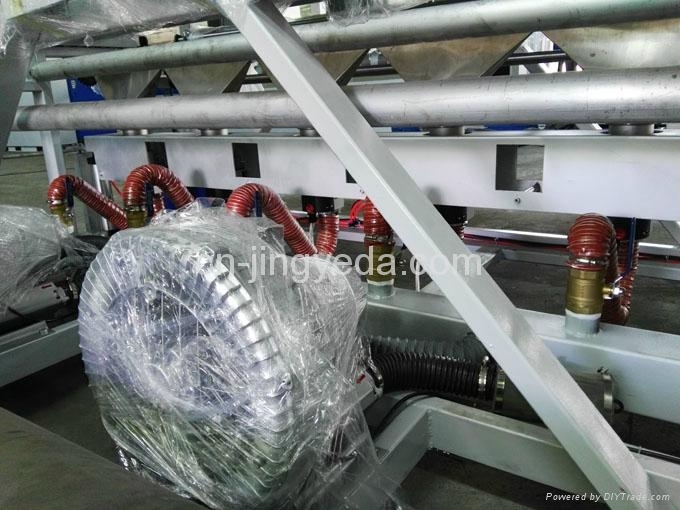 It is a must have equipment of PE foam deep process. 1. Unwinding unit: 2 unwinders: with unwinding roller, guiding limit rod and a frame. 2. Main bonding unit: main frame, smooth haul roller 2 pieces, adjustment devices, heating stove, cylinder, gearbox, haul motor, rubber roller, guiding roller and air adjustment devices. 3. Rewinding unit: frame, winding roller and torque motor.